Cycling 4 the fun of it. 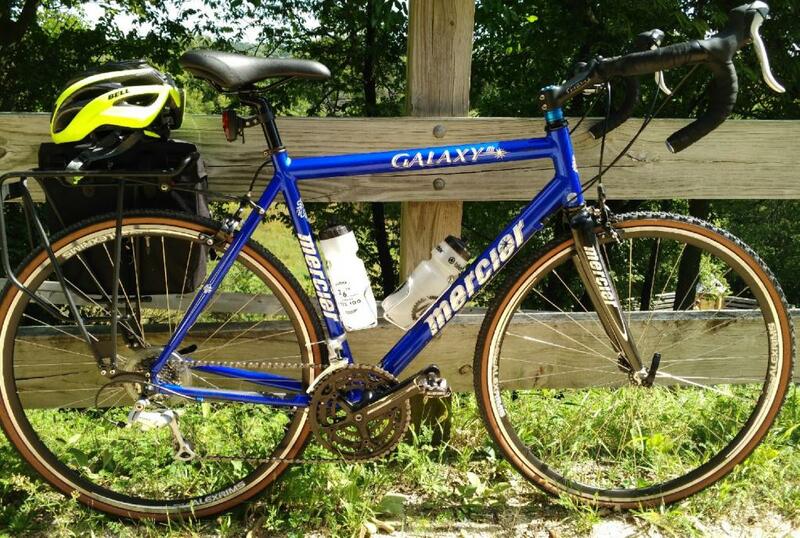 My hybrid went bye-bye last week, and I ordered a Mercier Galaxy Al. It's a budget bike with a decent build. I received it yesterday and completed the assembly. I want to point out that the photographs taken of this frame and fork on BD's website didn't do the bicycle any justice. I thought the frame would be your standard round or maybe ovalish tubing. The frame uses oval tubing that has a pinched crease running along the entire length of the top edges of the top and down tubes. Also, the rear triangle uses oval tubing. However, it's been flattened in the middle of the length of those tubes. This frame is unique and extremely well made. Also, the color is not just blue. It pop's and I don't know how to describe it other than it's an excellent shade of blue. Another big plus would be the standard carbon fiber fork. It's wide with beefy fork blades. It's also, clear coated that reveals a good looking carbon weave. I really can't complain about the build when I take into account how beautiful the frame and fork are. That alone is worth the entire cost of what I paid. If I had to nitpick about something. It would be about the headset. It's cheap, and It will work but, thankfully I do have an upgrade for it. The stock saddle feels comfortable, and the free pedals that came with it should work out fine. But, again, the big surprise is the frame and fork. I purchased this bike for its overall value so, I expected some compromises, but the frame and fork do stand out. I will take some photographs this weekend to show you all what I'm talking about. As they say, a picture is worth a thousand words. 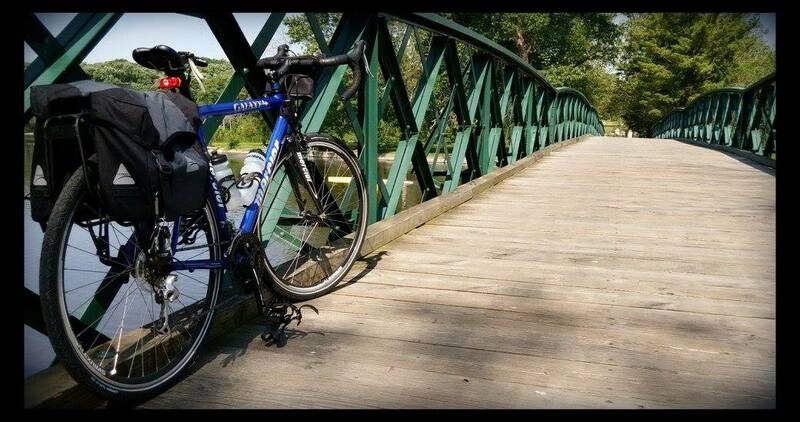 I purchased this bicycle as my do all bike for Lite Touring, Commuting, and General riding. 9/11/2016 Update: Although the frame was designed to accommodate wider tires. The stock wheelset is not. 30c cross tires are as wide as I would go before the tire would just gain in overall height. Awesome. I just ordered the Matte Black Windsor SL and wish I would have saw your Mercier for $50 less. It looks like an really nice bike for the price. I love the blue! I don't get my Windsor until Friday. I hope I am as happy as you are. Well, how did you like your bike? I didn't take all those photos like I wanted to of the frame. I kind of got distracted. I still have it, though. No issues. Last edited by Cyclist69; 09-11-2016 at 04:53 AM. Up until my birthday this August. This was my main ride. The only changes were Chain, Tires, Pedals and Stem. Now, it's my gravel grinder that I just completed a 54 mile gravel night ride. I'll keep it around until the frame goes and I don't see that happing soon. Thanks for a good bike at a good price! After four sets of tires, bar tape, and saddles I had my first major incident with this bike. I must say the bike has been extremely reliable. It was a nice day for a ride on the Great Western Trail and with fifteen miles left on my return home, a stick took out my rear derailleur. Question where can I get a rear derailleur hanger for this bike? Update. I took a look on Bikes Direct an to my surprise they have quite a few hangers to choose from and I was able to find the one I needed. GPS for the car...on a budget?